In 1977 the lives of five people collided to catastrophic effect as Cambodians toiled under Pol Pot’s revolutionary Khmer Rouge regime. When Clouds Fell from the Sky: A Disappearance, A Daughter’s Search and Cambodia’s First War Criminal tells the stories of those lives and, in doing so, explains the causes and consequences of the Khmer Rouge’s rule, which cost the lives of two million people. The book (“heart-­breaking”, “extremely thoughtful”, “beautifully written”) by journalist Robert Carmichael was released in April 2015 to coincide with the 40th anniversary of the fall of Phnom Penh to the Khmer Rouge. 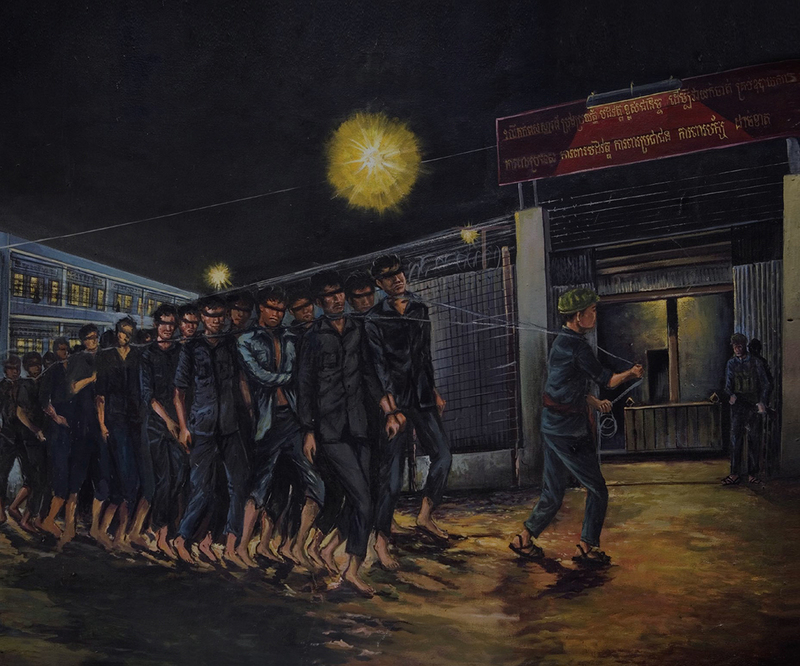 It is widely regarded as essential reading for tourists coming to Cambodia and expatriates living in Cambodia who want to understand what happened – and why – under Pol Pot’s Khmer Rouge. The first edition was published by Asia Horizons Books. The second edition was published by London-based Mason-McDonald Press. Monument Books was the first to carry the book, with hardback and paperback copies available in all of its stores in Cambodia, Myanmar and Laos. The book is also available in Thailand through Asia Books and Kinokuniya. The Kindle version and the print version are available to purchase on Amazon. The Cambodia launch took place in Phnom Penh on the evening of April 9, 2015 at Metahouse and was a great success with around 100 people packing the venue. The Thailand launch took place on April 29, 2015 at the Foreign Correspondents’ Club of Thailand in Bangkok where Robert Carmichael was part of a three-person panel discussing the Khmer Rouge regime 40 years after the movement seized power.